Wall-Mounted Hole Design: 6 UK standard AC outlets with Wall-Mounted Hole, Individual Swithes Design,ideal for using at home/office, ENERGY SAVING and convenient to use! 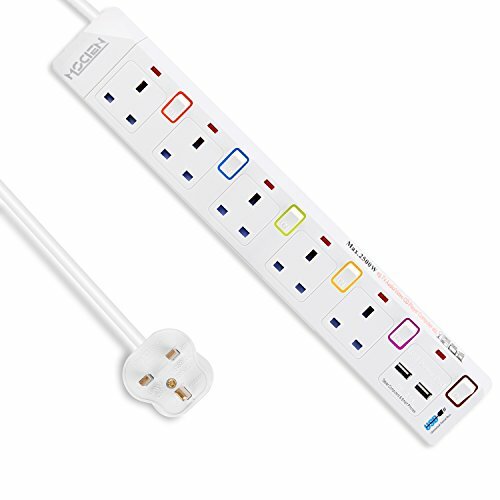 ✔ With 6 International / Universal Gang, Now you can plug in【UK, EU, US, AU】sockets head all at once without hesitation!【Unique Polygon Design】on top of the extension lead, providing a ultimate user experience and a elegant looking. 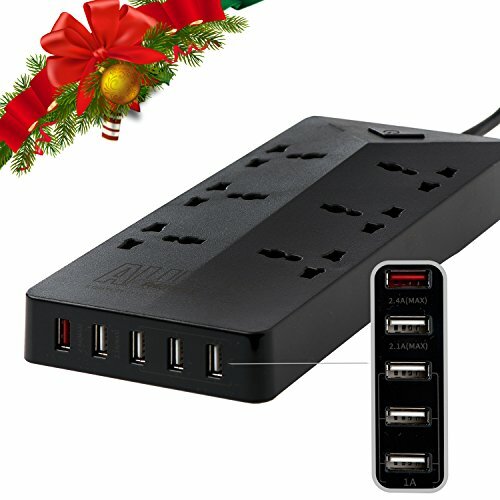 This will be the last pair of the high-end Extension Lead & USB hub that you will ever needed. ✔【Overload Reset Button】The extension itself it will trigger the overload protection system if the current overloads. You can simply ”Press” the override button to return to the normal state. it offers you an【Extra safety】when you are enjoying yourself out there while charging all the applicant/devices. 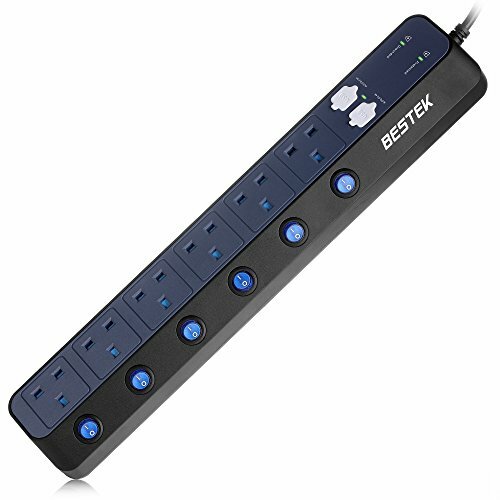 ✔Build in【On-off power switch】therefore letting you quickly and safely control the flow of electricity within a single click. 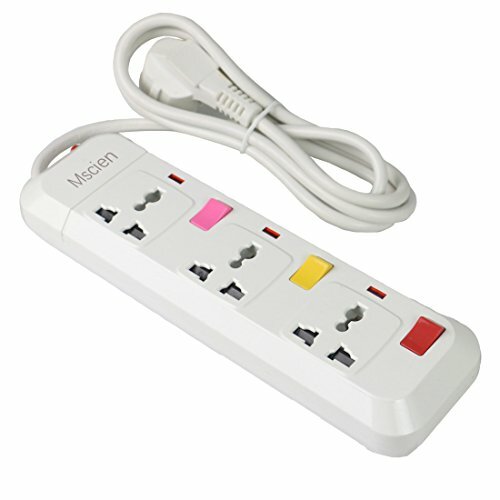 It has also included【Surge Suppressor】Now you can have a device that do Not generate sparks while pluging in any socket.